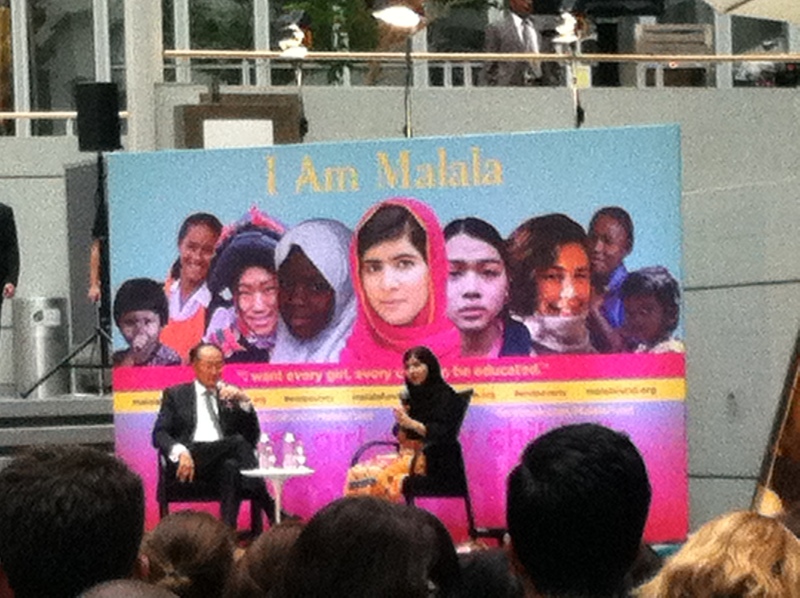 Malala was at the World Bank yesterday, discussing education for girls, her experience in Swat, and everything that happened to her over the past year. Admittedly, I could barely keep my tears back when listening to her talk – she is such an amazing person with so much commitment. A true inspiration and a good reminder of how lucky many of us are. I wish we were all more like her! This entry was posted in Our World and tagged Malala. Bookmark the permalink.